At high-school, during Kate Morris’s physical education classes, she always had a long-term view of what she could achieve in the field. Unlike some of her classmates, it wasn’t a time to get out of regular class and muck about, it was her career. 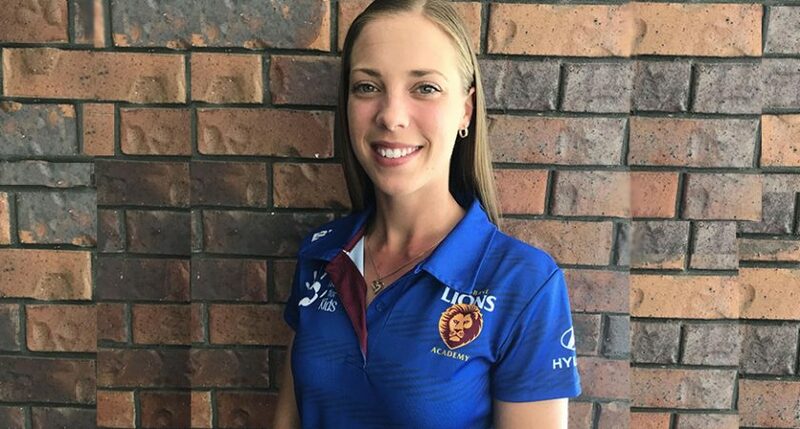 The desire to improve and help others develop their fitness is what led to her toward a Bachelor of Exercise and Sports Science and subsequently, to roles with the Brisbane Lions Academy and AFLQ Brisbane North talent program. “Something that we’re going to be implementing with the Hawks in this coming season, is a holistic approach to their learning and their skillset and their training, all aspects of their footy and their home life as well,” said Morris. Pre-season has only just started for the Hawks and with new senior coach Jarad Marsh at the wheel, there is a fresh energy about the place. The former state touch football representative player conducted her first session with the senior list yesterday and was impressed with the results. “I’m very excited to be on board with the boys,” she said. “Thus far they’ve responded really really great. The growth of football in Queensland, not just in the women’s space, but at grass roots level as well, is a big drawcard for a talented coach like Morris. In her time with the Brisbane Lions, Morris worked with the Lions Academy Youth Girls side and watched as they played curtain raisers at Brendale, prior to the Lions AFLW games. “That was great, (I’m) obviously loving the advancement of women in sport and I can’t wait to see that progress exponentially over the next couple of seasons,” she said. The Hawks have gained a stellar strength and conditioning coach, but they might have also gained a player, after a number of requests to don the famous Sandgate jersey next season for the Hawk’s women’s team.